This montage of 14 images (the time order is right to left, bottom to top) shows Ida as it appeared in the field of view of Galileo's camera on August 28, 1993. 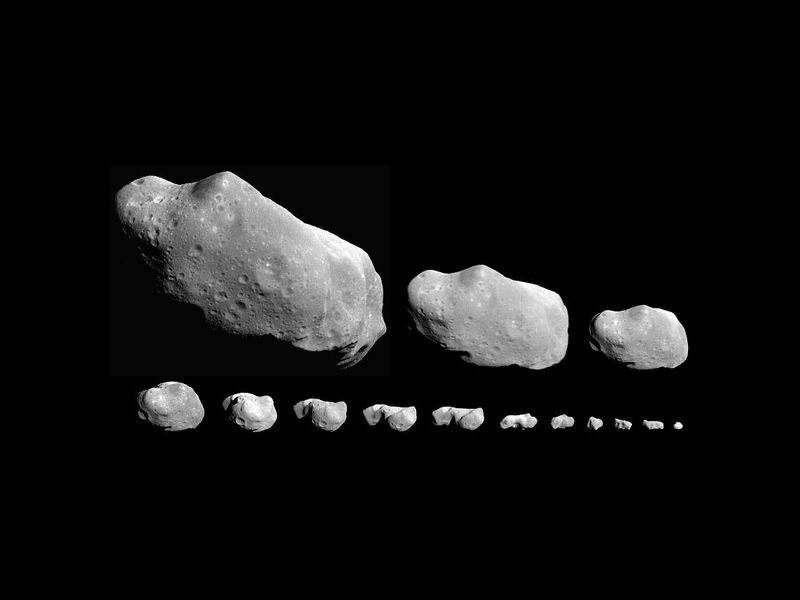 Asteroid Ida rotates once every 4 hours, 39 minutes and clockwise when viewed from above the north pole; these images cover about one Ida 'day.' This sequence has been used to create a 3-D model that shows Ida to be almost croissant shaped. 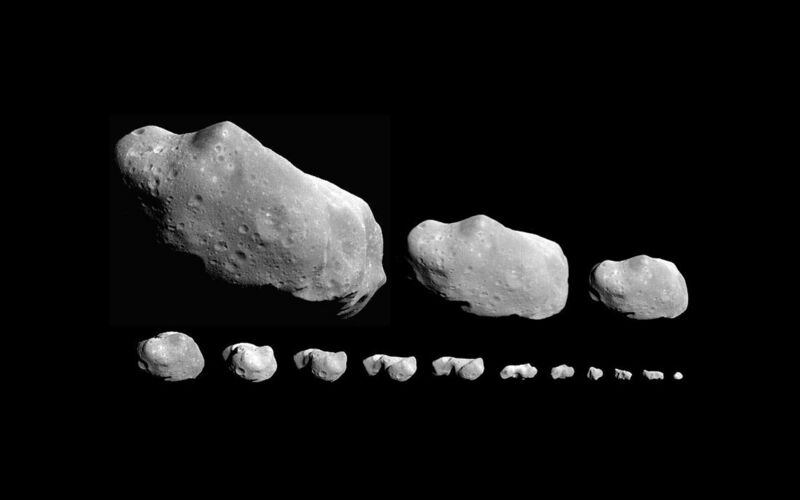 The earliest view (lower right) was taken from a range of 240,000 kilometers (150,000 miles), 5.4 hours before closest approach. 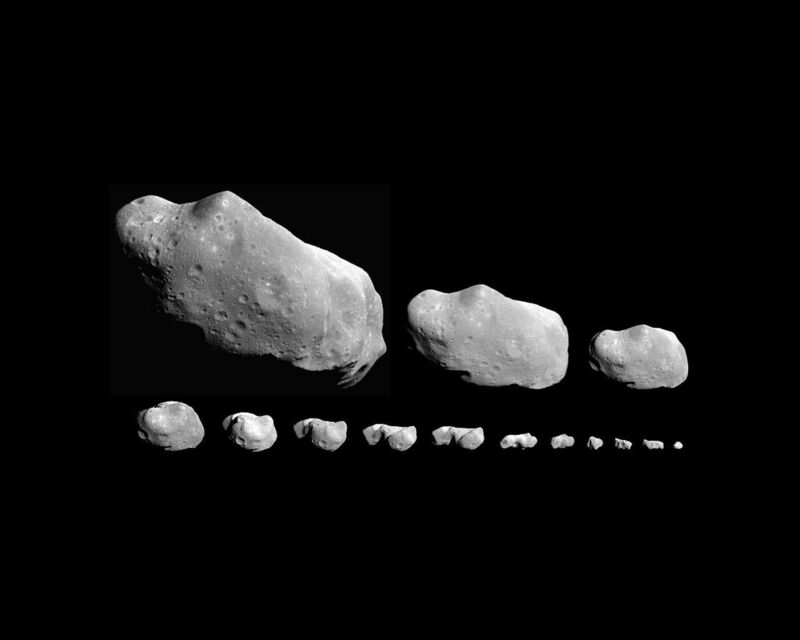 The asteroid Ida draws its name from mythology, in which the Greek god Zeus was raised by the nymph Ida.